Well, Danger Danger is definitely out now, and starting to sell, I'm glad to see. 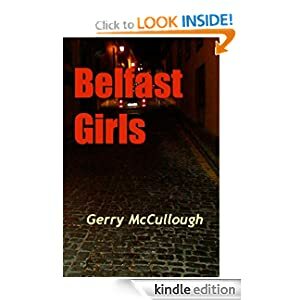 After the success of Belfast Girls, I had gathered from lots of different sources that a second book would not only do well in itself (all the readers of Belfast Girls would be eager to buy my second book) but that its appearance would equally give Belfast Girls a further boost. But for the first couple of weeks I was beginning to really doubt the truth of this. 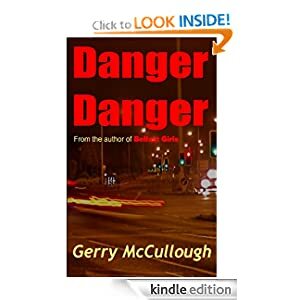 However, Danger Danger has by now picked up a fair number of sales, as well as 7 glowing reviews on Amazon.com (more would be great, please, if you've read it!) and I think I'm beginning to see the dogma come true– I hope! 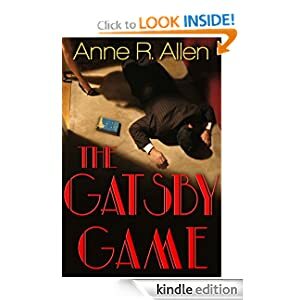 Meanwhile, I've been reading lots of books by other new writers in the Indie category, and since this time on my blog it's the turn of 'new discoveries' rather than 'old favourites' I'm glad to introduce you to a really good writer whose work I've been really enjoying – Anne R. Allen. 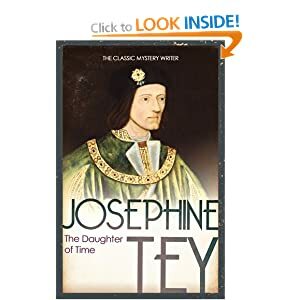 I’ve come across Anne’s name quite a few times in my Internet browsing, firstly as the writer of several interesting comments on Mark Williams’ blog, and then as a blogger in her own right, well worth following. But it was comparatively recently that I actually read any of her books. And I wished I’d been a bit quicker off the mark, because Anne R. Allen is definitely someone whose books are very much my sort of thing. I began with The Gatsby Game. 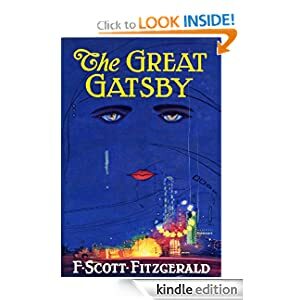 I always expect good things from a writer who enjoys the same books as me, and the fact that Scott Fitzgerald, one of the best modern American writers (streets ahead of Hemingway, in my view) is so central to the book was an immediate plus point. 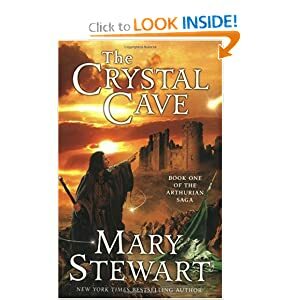 Then I found Nicky, the heroine, reading Mary Stewart’s The Crystal Cave, (I've written enthusiastically about the great Mary Stewart, a model for all writers of romantic thrillers, like me, in an earlier blog post here, How Fleeting is Fame) and later came across her reading Josephine Tey, author of The Daughter of Time and a too small number of other equally excellent books, whose detective stories are among my most regularly re-read. That settled it. In Anne R. Allen I’d found someone well worth exploring. The central male character, Alistair – it might not be appropriate to call him the hero – has based his life on Jay Gatsby, the character from Fitzgerald’s The Great Gatsby who invented a background and life for himself and managed to convince most people that it was real until the very end of the book; typifying the American people and the American Dream. The Gatsby Game is a classic detective story, with a crime whose solution is not clear until the last pages, but it is a lot more. The analysis of Alistair’s character, gradually revealed as Nicky understands him more and more, is subtly and successfully contrived. Alistair is, I suppose, a con man, but like Nicky we can’t help liking him and feeling sorry for him. He is, in fact, a tragic figure, like Gatsby himself. The actual plot of the book, based as it is on a real life scandal in Hollywood circles back in the seventies, with the names changed, is told with a realism which takes us right into the lives of its characters. The court scene, where Nicky finds herself accused of murder, is alarming and upsetting, and when Nicky only escapes being tried by calling for the intervention of her wealthy and powerful family, it seems a fair response to the unfair victimisation of her as, apparently, only the Nanny. (She is working as a nanny as a holiday job while at university.) Wealth and power should not be able to interfere with the course of justice – but then the police should not try to pin a murder on someone because they seem poor and helpless. This scathing denouncement of American justice is presented with irony and wit, and is never heavy handed. As Nicky escapes on the plane east, back to her real life, the solution of the mystery suddenly comes to her, as she thinks back to her first meeting with Alistair and the things which happened since then. And so Anne R. Allen takes us back through Nicky’s memories, keeping the solution quiet until the right moment. There are twists and turns in plenty in store for us even up until the last chapters, an added bonus in this very enjoyable and page turning book. Particularly in this part of the book, where we go back to Nicky's meeting with Alistair, Allen introduces an authentic atmosphere which we recognise as typical of Fitzgerald – the wealthy American upper class, with their empty lives and concealed unhappiness. The mass of detail and the skilfully drawn characters as well as the amusing incidents, such as Alistair's theft of the expensive wine, seem to belong to a much earlier period than the sixties and seventies, and underline the resemblance of the Roaring Twenties and the Thirties to the swinging Sixties and the still frivolous Seventies with, in each case, their undercurrent of economic depression and misery. To me, a book needs three things to make me want to read it to the end, rather than deciding after a few chapters that life’s too short to waste time reading this. The first is a main character or characters whom I can like, relate to, and get to know, just like Nicky. The second is an interesting plot. The third is an atmosphere which I can enjoy. Anne R. Allen provides all three in abundance. I intend to read my way now through her other books, in the confidence that I’ve added another favourite writer to my list.